Welcome to the digital home of the Innovative Communities initiative. 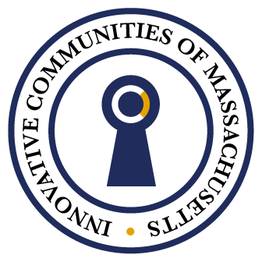 Innovative Communities is a legislative initiative that is currently underway in Massachusetts. Filed by Senator Spilka and Representative Ferrante in January 2015, Senate No. 1986 (the Innovative Communities legislation) aims to help startups pilot their products and services with municipalities throughout the state, thereby supporting the growth of the Massachusetts startup economy and providing municipalities with solutions that better serve residents. We believe that close collaboration between government and the startup community is essential to the ongoing growth and success of our innovation economy and better meeting the needs of residents throughout the Commonwealth. From its inception, Innovative Communities has been an example of private and public sector collaboration. The original idea for this bill came from a pitch made during an idea-a-thon event sponsored by the Massachusetts Tech Hub Caucus and hosted in PayPal’s Boston office in November 2014. Since this event, legislators, entrepreneurs, investors, lawyers, public servants, and many other representatives from across the Commonwealth have worked to refine and craft this idea into the Innovative Communities Legislation, and ultimately filed the bill in January 2015. We are excited to move to the next stages of the legislative process, during which public awareness and support will be essential. We have created this site in an effort to increase awareness and add additional transparency into the process. We invite you to explore this site to learn more and stay updated on this important initiative.